Hit Me Up, Pop! Pony Name: Dio Profile Link: HERE What Would You Like? (Please Mark One) [X] Full Body Profile Art [_] Adoptable: (Name Here) [_] Animated Blinking Avatar [_] Commission (Please contact me via notes) *CLOSED* I've only got a text description to go on at the moment, but I'm interested in seeing what you can cook up in that head of yours based on what I've written. Good luck and have fun! It's Superboy. He doesn't fly, though he can jump really far and knock you silly with a flick of his... hoof? That's not even shipping anymore. That's canon and it is so d'aww. So much d'awwww that I need insulin... but I can't stop reading. Diomedes Dio turned his head, coming face to face with a white Pegasus close to his height, but not quite as muscled. The Pegasus was young, just barely a stallion, but possessed a look of enthusiasm not unlike many of the other Pegasus Dio had met in his travels. If there was one thing about the Pegasus as a species, it was their desire to live life with gusto, never settling down for even a moment; as if doing so would dampen their very life force. Dio checked his dispatch gem again. It was still the dormant jade color that he wanted it to be and there was still quite some time before he had to be at the office. I suppose I could sit down for a chat once the barista brings breakfast? "Diomedes Ironwing," the red pegasus began, nodding in greeting, "I don't believe we've met. I'm interested in hearing how you think we're so similar from just a chance meeting." As he spoke, he caught a yellow unicorn walking up to Neon Pop and introducing himself. He caught a name, "Dubstep." It's getting crowded up here. Dio once again rapped his hoof on the floor of the cafÃƒÆ’Ã‚Â©, trying to gain the attention of the small herd that had suddenly gathered around Neon. "Fillies, gentlecolts," he began. "I believe we're blocking traffic. But I have a table reserved, so as soon as I get my order, I'll be heading right back over there." Dio motioned with his head to the table on which his saddlebags rested. "You're welcome to join me," he said to Knightly. "As are your unicorn friend and Miss Neon Pop." "By the way, I never caught your name." Diomedes Diomedes Ironwing took in deep lungfulls of mountain air, his muscles burning from the climb, but his head feeling plenty good from the adrenaline pumping through his veins. The air at the top of Dragon Mountain was fresh and crisp; just cool enough to sharpen the senses, just warm enough to get the blood moving. Dio reached behind him and removed a canteen from his harness, taking a long swig. A break would be required before he could continue his training run. His usual high-altitude flights involved more gliding than physical exertion and altitude sickness was the last thing he needed. He had to admit, though, that the conditioning was paying off. The first time, he hadn't even made it halfway up the mountain before he had to stop to rest. Now, he could make it to the entrance to the Dragon's Lair without becoming winded. The Pegasus felt his heart rate going down and took a deep breath, steeling himself for the next part of his training run. Dio spread his wings to their full extension and leaped off the ledge, coasting for a few hundred yards horizontally before folding his wings, sending him into a steep dive, nearly parallel to the cliff face. His heart was pounding now as the crags he had just climbed flew past at lightning speed. He carefully adjusted his flight feathers, subtly altering his hypervelocity course so he slipped between the rock outcroppings and sparse evergreens like water running through sand. The red pegasus' mane flapped in the wind, his tail streaming out behind him as he plummeted from altitude. Though the drop could not have lasted for more than a couple seconds, Diomedes felt like he was suspended in space and time. But as the tree line rapidly approached, time seemed to speed up to normal again. Dio opened his wings slightly for better control, manipulating his feathers to rapidly adjust the oncoming airstream so he could twist and turn around the onrushing kaleidoscope of green and brown. Left. Right. Left. Left. Twist. Break. He was deep in Everfree Forest now, slowly leveling off as Dragon Mountain faded into the rolling foothills just west of Ponyville. This section was tough. There was hardly any time to react and the slightest mistake would mean a concussion or broken bones. He trusted the inherent magical physiology of Pegasus ponies to protect his wings from light impact and aerodynamic stress, but wasn't counting on it to protect his skull from head-on collision with a tree. Right. Left. Right. Twist. Roll. Dio was home free. 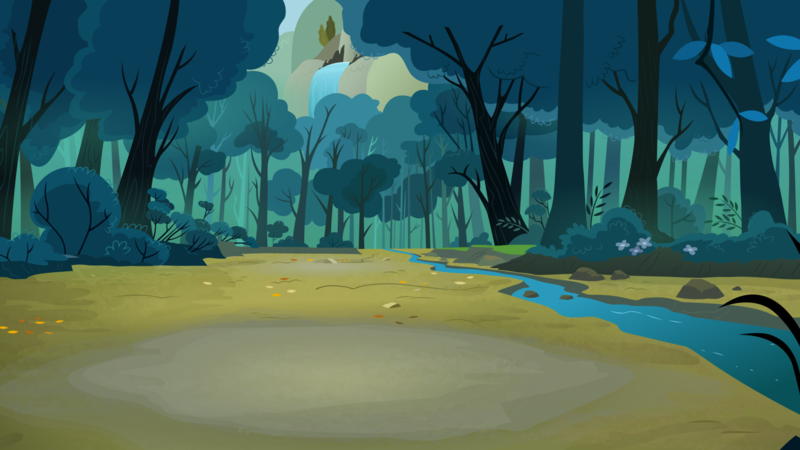 Just a few more trees andÃƒÂ¢Ã¢â€šÂ¬Ã‚Â¦ "Somepony!! Oh my pony stars... Somepony help me!! Ugh!! HEEELP!" What in Equestria??? The filly's voice was faint, but just enough to break Dio's concentration. The red Pegasus' eyes widened as a tree approached at an alarming speed. Diomedes snapped his left wing shut to avoid damage and twisted to avoid hitting the trunk head-on. It worked. Almost. CRASH! Diomedes clipped the tree at full speed, pulling off shreds of bark and leaving behind bits of fur and feathers. Dio winced at the pain; he knew it drew blood, but he didn't have time to think about it. Instead his thoughts were focused on slowing down to a safe velocity. The red Pegasus snapped his other wing shut and closed his eyes as his roll took his right side straight into the undergrowth. His high speed combined with his high mass ensured that he skidded at least ten yards through the mess of roots, rocks, twigs, and leaves on the forest floor, leaving devastated shrubbery and turned-over dirt in his wake. He tumbled as he slid, finally coming to rest at the base of a large oak tree, face pointing skyward and legs and wings in a tangled mess around him. Dio shook his head to clear his vision and slowly rolled over enough to where he could get back on his feet. Every muscle in his body was sore from the crash, but he wasn't concussed. He moved his wings slowly and stamped his feet on the ground to test their mobility. Nothing was broken and everything seemed to be in working order. The worst injuries would be a mass of cuts and scrapes and a handful of bruises. Dio snorted at his own luck. As Papa Ari always said, any crash you can walk away from is a good one. As he shook the dirt and debris off himself, Diomedes heard another voice, this one male. This one was indistinct, but the tonality was stressed. Taking a quick listen, Diomedes guestimated an approximate heading and took off at full gallop. Crashing through the underbrush was a lot different than flying through it. All sorts of little stickers and debris stuck to his fur and mane and dug into his skin. But Dio didn't care. Someone was in trouble, and he wasn't going to just let it go over a fashion gripe. As he crashed through the last cluster of shrubbery, he spotted the trouble: it was marshland. All of it. Opening his wings and delivering mighty flaps, he cleared the muddy water before he became mired in it, alighting on a nearby rock. From there, he spotted a salmon-colored unicorn with red hair wading into the mud, a vine in his mouth. A second unicorn's head was just barely visible above the surface of the water some distance away; locks of many colors adorning her head. Neon Pop? Dio thought incredulously. 'Hey!' Diomedes shouted to both unicorns. 'I'm here to help!' The big Pegasus kept his wings open, ready to lift off and assist at a moment's notice. Twilight's reaction faces are the best. Neon Pop gets an internet! Mangoes are also delicious. Peaches. I could eat peaches for an hour. One internet for whoever gets the reference. I immediately thought "hipster pony"
Boom! Questions! But that's okay, I'm wired to answer questions Of the two, Picard, though (I'll probably get called a heretic for this) my personal favorite was Archer from Enterprise. That said, I loved any episode in TNG and DS9 that dealt with Romulans or Cardassians. I study politics as my secondary concentration and the mechanics of interstellar political dealings always fascinated me. I'm a fan of the Dominion War arc in DS9 because it portrays the Federation more as another faction in a battle for control of the stars rather than the paragon of virtue that TOS took. I know, Enterprise and DS9; that's two strikes against me already I'm a huge fan of the rebooted Kirk, heck the entire crew of the rebooted Enterprise. The casting for JJverse Star Trek was spot on and the mechanics of the show struck a good balance between canon tribute and original material. I'm really looking forward to the next one, especially if JJ is directing. I've never touched WoW in my life, but I have so many friends that do I've picked up a few things via osmosis. The closest I get is 4th edition D&D which kind of borrows some mechanics from WoW like the aggro system for defenders (paladins, fighters, etc.). I just never got into MMOs; I've spent way too much time on shooters to get past the need for instant action. I take it you're an insomniac, too? So I'm here... now what? I'm just an ordinary brony who got sucked in thanks to 4chan, Know Your Meme, and Equestria Daily. I'm a 20-something college student and FiM is still comedy gold for me. About me? Well, I'm a bit of a nerd, so you'll probably catch me making Halo, Call of Duty, Star Trek, D&D, and Warhammer 40k references from time to time. I'm also an FPS geek and play Reach, Bad Company 2, and Black Ops on Xbox Live. My major RP experience is mostly from 4th edition D&D using some homebrew campaigns that one of my good friends cooked up in his downtime. I figured I'd give this a shot for something different. 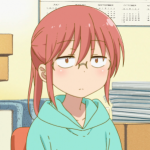 I love crafting fictional worlds and reading up on lore between engineering studies and hanging out with my friends, so let me know if you want any help with fleshing out the background lore for the RP section. That's about as much as I can think of before breakfast; hope that's enough to start to meet your acquaintances.